Let Carolina Collision & Frame Service be your first choice for any type of auto body repairs. Our auto services include collision repair, frame service, paintless dent removal, and 24/7 towing and wrecker services. Our family owned and operated business has served the Rock Hill, SC community since 1998 and we have a track record of doing quality work at reasonable prices. You’ll appreciate the professional manner of all our employees, as well as the little things we do to make the experience as painless as possible. We offer free estimates on all jobs and we work with all insurance companies. 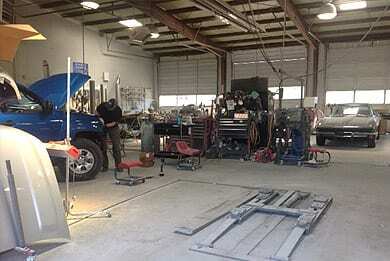 Stop by our state-of-the-art facility at 1012 Hearn Street in Rock Hill, SC or call us at (803) 327-1847. We’re happy to talk with you about any of our services and answer any questions you have.